Finally got this awesome Obsidian Arms keymod rail mounted. This is one of the easiest rail systems I have installed. The quality and tight fit makes it look and feel like a rail that is 2x more expensive. This rail is made in the USA!! Originally, this 3 Gun rail was designed for competition shooters but is now being used in tactical applications. 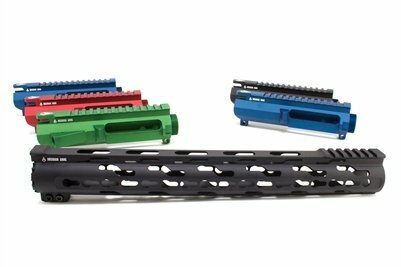 This rail comes in 4 different colors: DarkCrimson, LizardGreen, PatriotBlue and, Black. For more info about Walden Arms, LLC visit waldenarms.com or visit any one of my social media accounts (Facebook, Instagram, Twitter, Tumbler and Google+). For more information about Odsidian Arms please visit obsidianarms.com. Thanks for watching and be sure to get your Obsidian Arms rail locally from Walden Arms, LLC.